First there was brewing. Then there was grainy tea. Then there was transferring the beer to the secondary fermentor (this wasn’t particularly interesting, so I skipped showing this part of the brewing process). After the secondary fermentor, which is a glass bottle large enough to hold the volume of two cases of beer, the barley pop is bottled. This happens about two weeks after the initial brewing, and it varies from brau to brau. Bottling took about an hour, and it gave us another chance to get to know our beer. Contrary to previous reports, the ABV of this beer will be about 6 percent, not 10 percent. The ABV miscalculation was due to taking readings from undiluted wort. 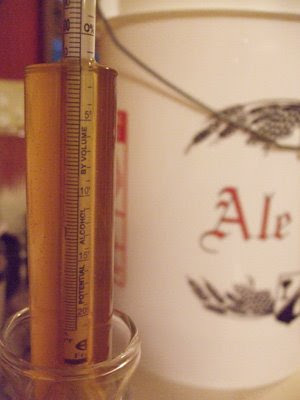 This caused the beer to appear more concentrated, hence the higher alcohol by volume percentage. It’s less boozy than we first thought. The beer’s color and clarity changed a lot, too. It’s going to be much lighter than I thought — much closer to a typical wheat beer. It’s now more hoppy than malty. 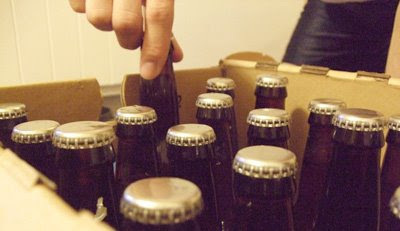 At this point, MVH said the taste is what it is, and the last step is carbonation, which happens in the bottles. Weak carbonation seems to be a common problem with homebrews. 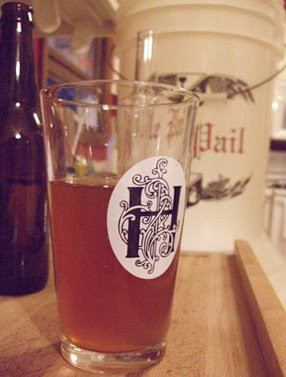 I have found most homebrews taste pretty good, but many need a bit more fizz. 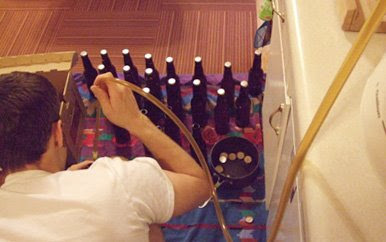 This usually can be overcome by letting the beer sit in the bottles for an extra week or two. But it can be hard when everyone wants to try your beer. 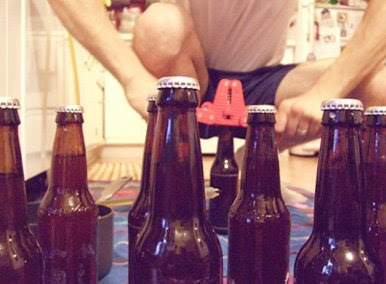 The first bottle caps come off today in the Upper Peninsula of Michigan among dear friends. I can’t think of a better place to share my beer. Homemade brew + good friends + the UP? Sounds like a recipe for a whole lotta fun.